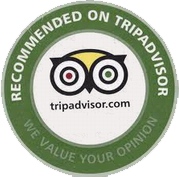 08h00 - 08h30 am: You are picked up at your hotel for the 3.5 hours bus trip to Halong Bay. 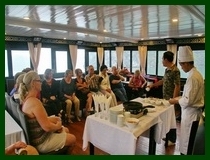 12h - 12h30: Boarding and check-in with welcome drink, then the cruise starts through Cho Da, Dinh Huong, Ga Choi and Hoa Cuong limestone islets while a lunch is served on board. Then visit Sung Sot Grotto, the “Cave of Surprises”, before taking a swim in Titov Beach or Soi Sim Beach’s pristine waters. 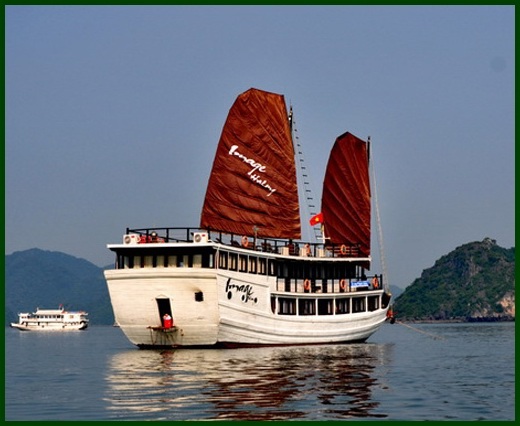 The vessel then cruises further to reach its overnight anchorage location near Ho Dong Tien or Luon Cave. 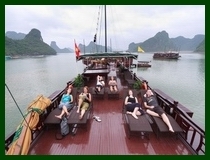 08:30 Transfer to Image Halong daily boat to Viet Hai village (Trekking by bike and visit primary forest). 12:30 Having lunch on daily boat. 16:00 Return to Image Cruise. Free time on cruise. 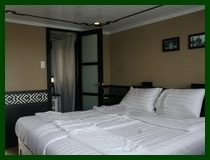 Early wake-up for a breakfast with stunning scenery, then a small boat will take you to visit Luon Cave. Back on board the cruise heads to Tuan Chau pier. Transfer by tender to Pelican & Image cafe. Lunch is served on board while the cruise goes back to Halong City for disembarking at noon time and get back the bus to Hanoi.